Last week, we were excited to host a webinar for all of our partnering communities. 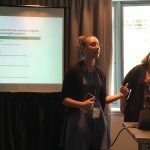 The session, entitled “Using Learning Bird to Guide Your Pedagogy”, was presented by our very own Education Account Leads Joelle Chemali and Rebecca Smith. They looked at the different ways teachers could incorporate Learning Bird content into their everyday practice, focusing on each subject area, and pairing it with some fun activities that could be used with students in middle school and high school. When preparing for this webinar, Joelle and Rebecca knew they needed to keep in mind that the teachers we work with can have very different situations. Internet connectivity and access to devices affect what types of resources teachers can easily bring into their classes. While presenting the webinar, they showcased many activities that did not necessarily require technology. They also stressed that Learning Bird units are meant to guide teacher instruction while giving teachers enough flexibility to adapt them to their students There is no one-size-fits-all solution, and so teachers can feel free to adapt the resources and resource kits in whatever way works best for their students. The presenters started by giving a brief tour of the Learning Bird platform’s fresh new look, placing community names up-front and allowing communities to find their resources, as well as other communities’ resources, in a faster, more effective way. They then jumped into subject-specific units to give teachers some ideas of how they could engage their students in different ways. Learning Bird lessons were presented as a way to introduce new topics, encourage student engagement, prompt discussion, and as a tool to check for understanding in a formative or summative way. A handout with additional possible activities for each subject area was provided to the attendees as well. Let’s take a look at some of these ideas. Students nowadays are connected to their phones, tablets, and to social media, which is why it’s important to use these as a means to rebuild language skills amongst these younger generations. Different ways of delivering instruction allow for different ways of engaging students in the classroom, through individual work, group activities, and role-play. 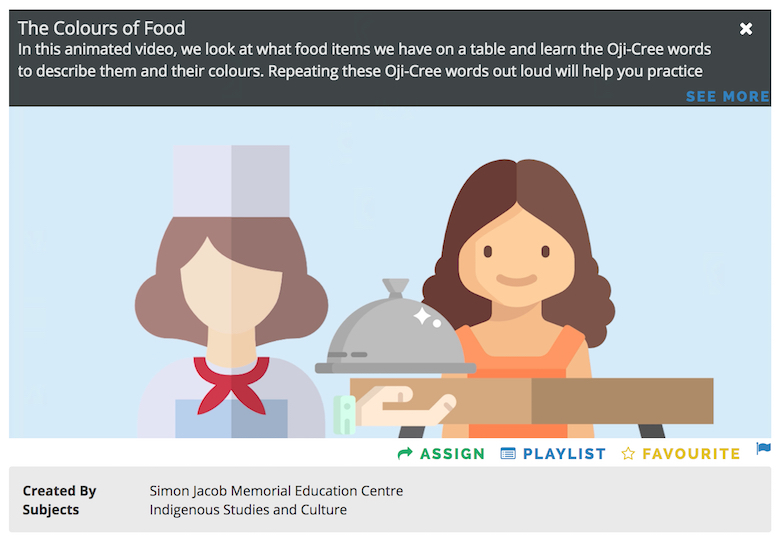 Attendees were walked through a Learning Bird unit on the colours of food in Oji-Cree, which demonstrated a framework by which teachers and students could alternate between whole-class activities, such as playing a video at the front of the class, and having students practice repeating pronunciations, role-play, where teachers provide students with a text or script and have students practice in pairs, and individual work with handouts printed out for each student or posted on the projector at the front of the class. Some fun activities included on the handout were “Pictionary”, “find someone who” and “classroom mingle”. 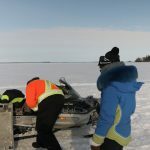 The unit featured in this area was all about well-being from an Indigenous perspective, which is an important topic to discuss with all students across different communities. Students are taught to look at the spiritual, emotional, mental, and physical parts of their well-being. The presenter mentioned that it is a good idea to start off with a class discussion, asking students what they currently do with self-care and discuss why it’s important to them. 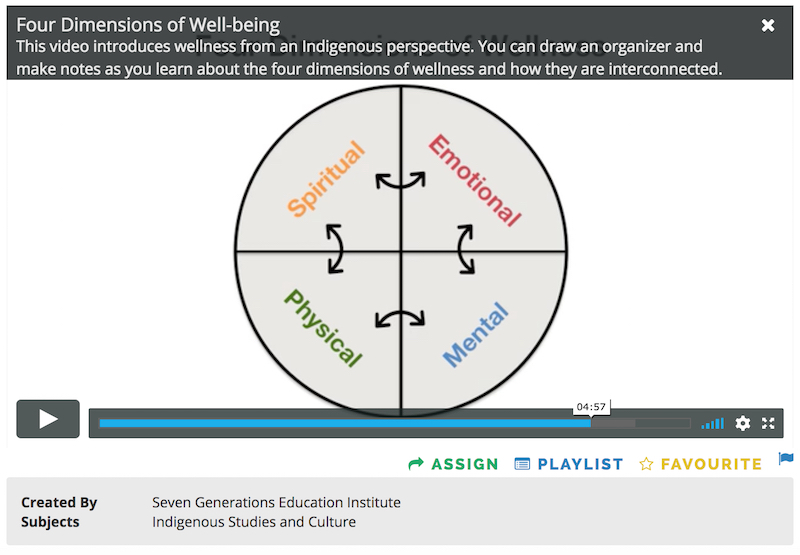 This discussion can then be followed by playing a video for the class that covers some of the introductory concepts to this Indigenous perspective on well-being. This video is followed by an activity that can then be carried out in small groups where students apply the knowledge they learned, and understand how spiritual, emotional, mental, and physical well-being is connected. 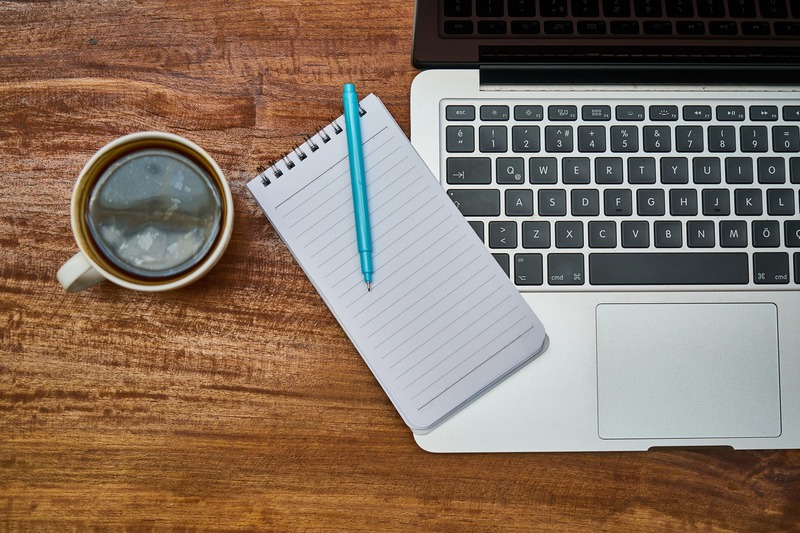 Lastly, it is encouraged that students create their own personal wellness plan individually and that teachers judge whether or not it would be appropriate for students to share their work, as this is a more personal matter. Again, the idea is that teachers are using units as a way to frame their lessons and they are free to adapt them as necessary. Additional open-ended activities were mentioned in the handout, which would work very well in a culture class. “Tableau”, has students acting out traditional activities or legends. Teachers could set up an “obstacle course” where students perform a traditional activity, or a “gallery walk” where they would set up a museum in the classroom displaying artifacts and pictures that students look at and respond to. Although this is not always the most exciting subject for students, the presenter made a point of saying that we can engage students in various ways, and that we need to explain to students why they are learning a particular topic, what it means to them, and how they will be able to apply their knowledge in the future. The star quilts unit featured was cross-curricular and started with a video on the history of star quilts that teachers could play for everyone at the front of the class, followed by a discussion. If possible or relevant, teachers could invite Elders and knowledge keepers to share the history of the star quilt from within the community. Then, the class could jump into the videos introducing specific mathematical concepts, which the students, individually or in small groups, could use to follow along with the videos. 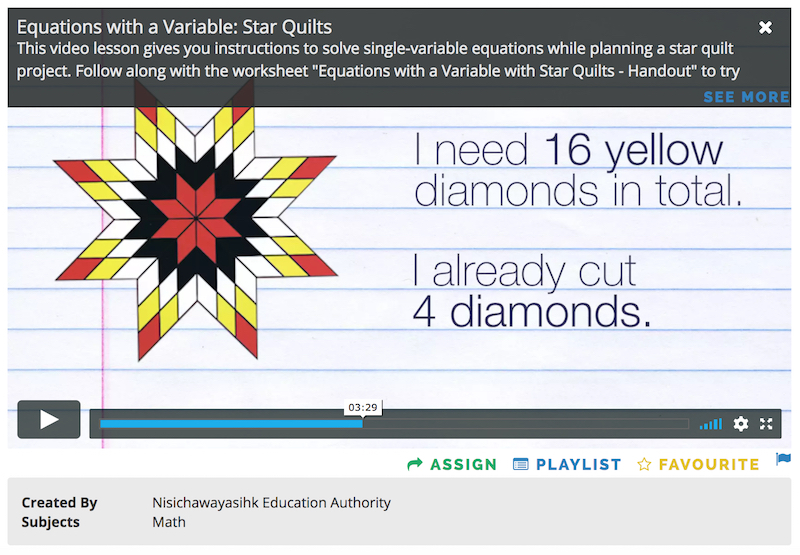 Lastly, the students would be able to make their own star quilts with the step-by-step podcast, as well as with the instructions listed on the accompanying handout. Although some math topics are easier to engage students in more than others, the activities listed on the handout like “around the block”, “3-2-1 prompts”, and “one-minute problems” can easily be integrated into everyday teaching. Here, the presenter looked at a specific novel titled “Touching Spirit Bear” by Ben Mikaelsen. The presenter goes over strategies and activities to use before reading, such as making predictions, building anticipation, creating graphic organizers, during reading, such as vocabulary activities, filling out graphic organizers, predicting and asking questions, and after reading such as summarizing, analyzing themes and characters, and so on. 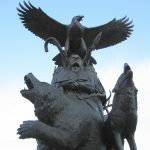 Many of these strategies are a part of the resources about “Touching Spirit Bear” on Learning Bird. Teachers can show the videos that are part of the two units, and ask students to complete the handouts and projects available on Learning Bird will help students to prepare for reading and understand what they’ve read. Teachers will also be able to check for understanding throughout the novel study. 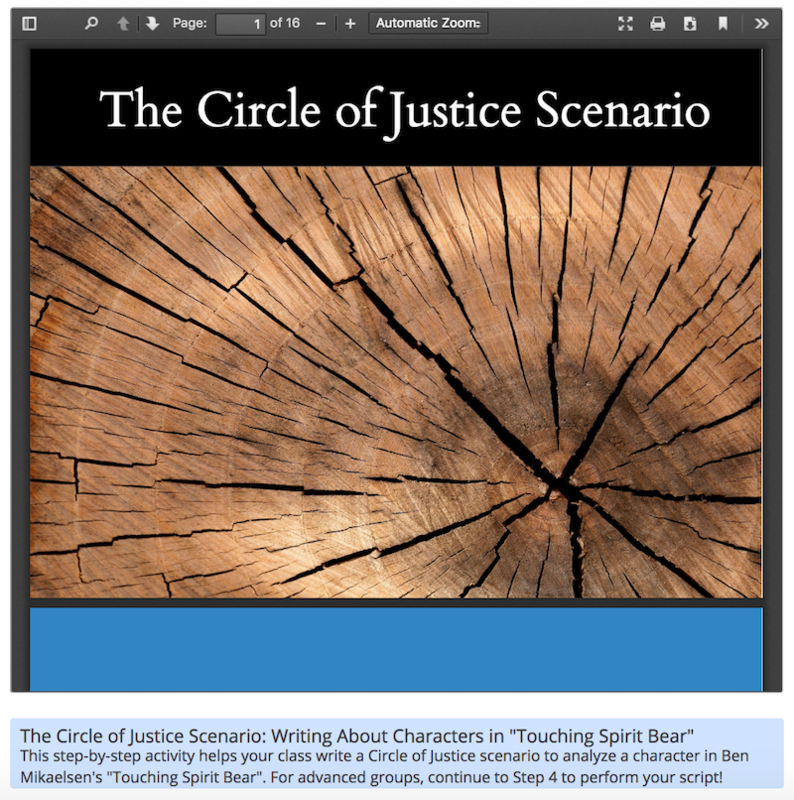 Teachers can end with a slideshow that outlines a great cumulative project which can be adapted for middle school or high school. The presenter went on to say that these strategies and activities could be used for other novel studies, with some adaptations to the content of course. Activities on the handout include “graphic organizers”, “save the last word for me”, and “somebody wanted but so”. The fascinating thing about science is that it’s everywhere and we need to expose students to their surroundings whenever possible. 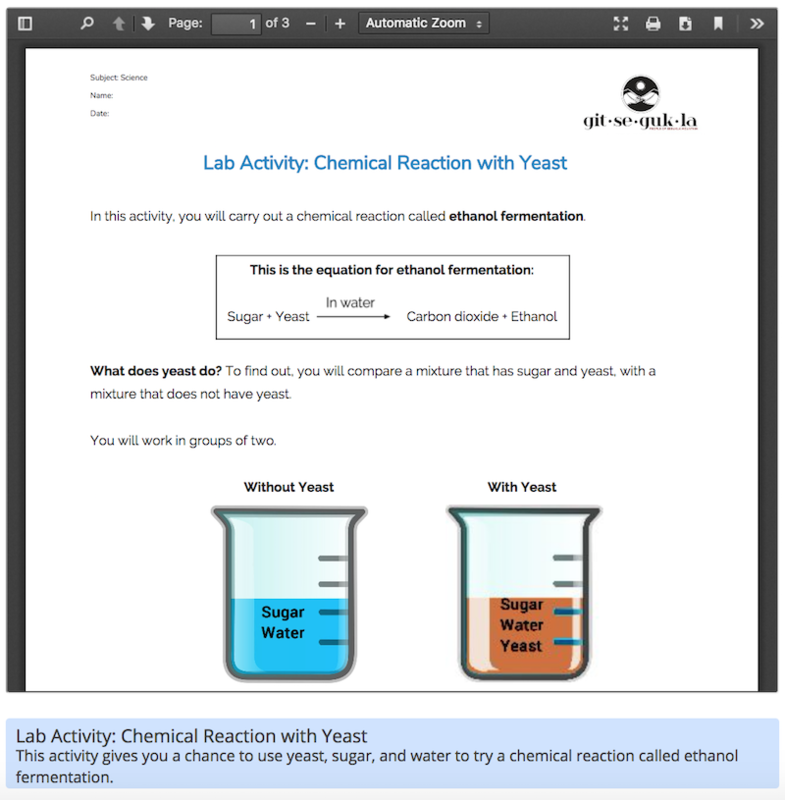 The unit featured in this session is about chemistry in cooking, where we followed a similar structure as in other subject areas such as the introduction to basic terminology through the use of a video and slideshow, as well as some group and individual work through the use of handouts/activities. Again, the emphasis was placed on the fact that teachers should pace their lessons based on their students’ level of knowledge. This specific unit ended with an experiment that could be carried out in a lab or classroom. Although we might not always think of it, it is quite easy to complete activities and experiments in the classroom with very little material. The presenter encouraged teachers to do a simple Google search for experiments that could be done in the classroom. Students could do this in groups, or if that’s not possible, the teacher can always bring the material and have students gather around while they take turns experimenting. Some activities mentioned on the handout are “two stray, one stay”, where students can use this to compare/contrast conclusions, as well as a “KWL chart”, which can also easily be applied to any other subject area. 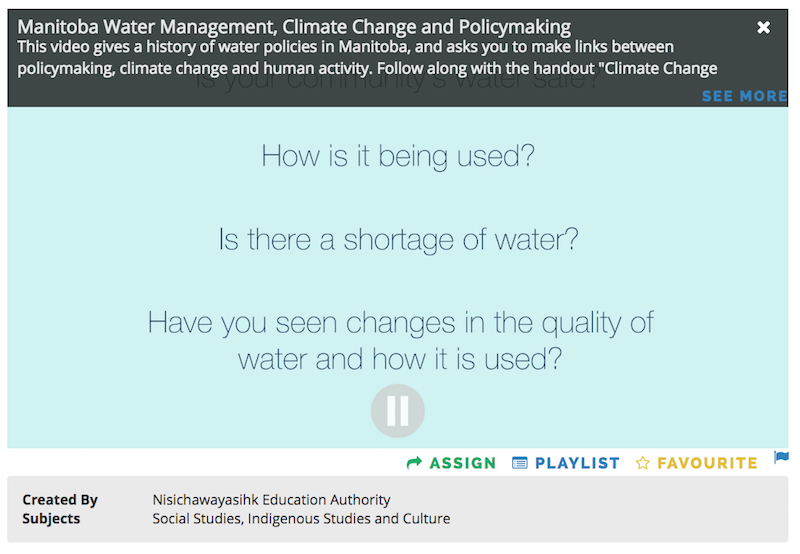 The last unit on sustainability was very interesting, as the resources featured could be used as a template to learn about one’s own community history and about changes in the community. Elders and knowledge keepers are invited to share their knowledge and discuss this with the students. Students then apply the research and knowledge gained to create a large-scale community map, as well as a community plan. Activities mentioned on the handout are “stop lights”, which is an easy way to check for understanding, “nothing ventured”, where students review material learned by answering a list of questions individually or in pairs, and “timelines”, which can be used as an anchor chart or can be created by students from scratch as a project. The session ended with some recommendations based on questions asked by attendees, one of which was on the importance of including activities as part of a routine, so students would become accustomed to specific activities, and eventually, there would be less focus on classroom management, and more on student learning and engagement. “Don’t give up!” said the presenters, as it will probably fail the first time, the second time, and sometimes even the third time, but once you figure it out, it will be well worthwhile.